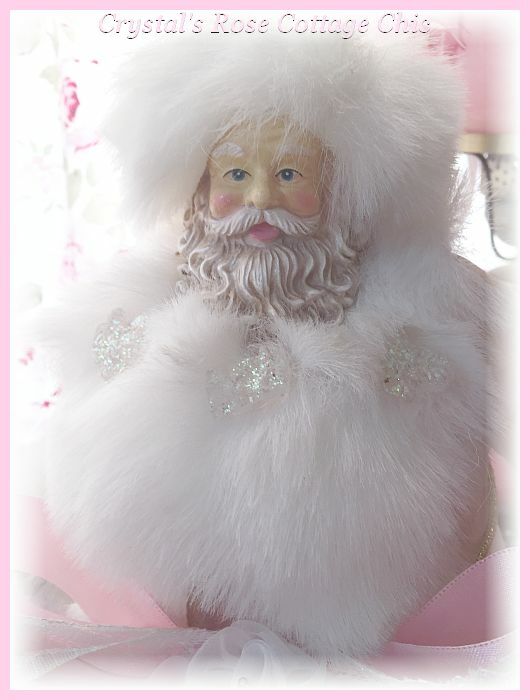 Oh so precious, Shabby Pink and White Fur Santa Tree Topper! He measures 13.5" tall. He's holding a candy cane in one hand with pearls and lots of pretty ribbons and in the other hand is his goodie bag which even has a cute little bottle brush tree. 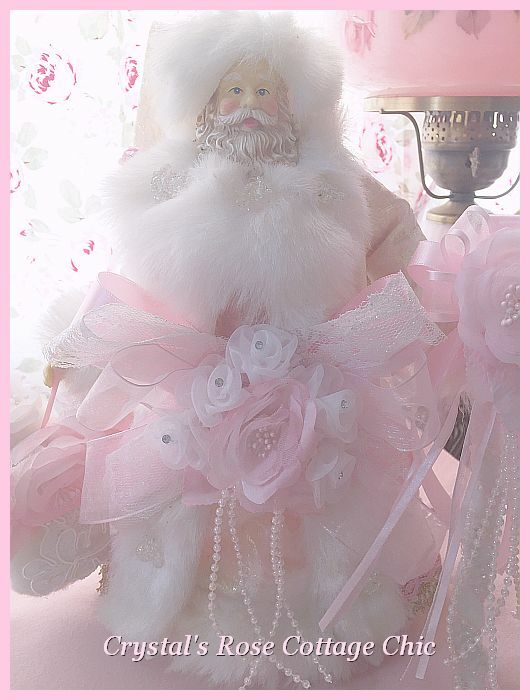 Another one of a kind creation from Crystal's Rose Cottage Chic, you won't want to miss this sweet little Santa. 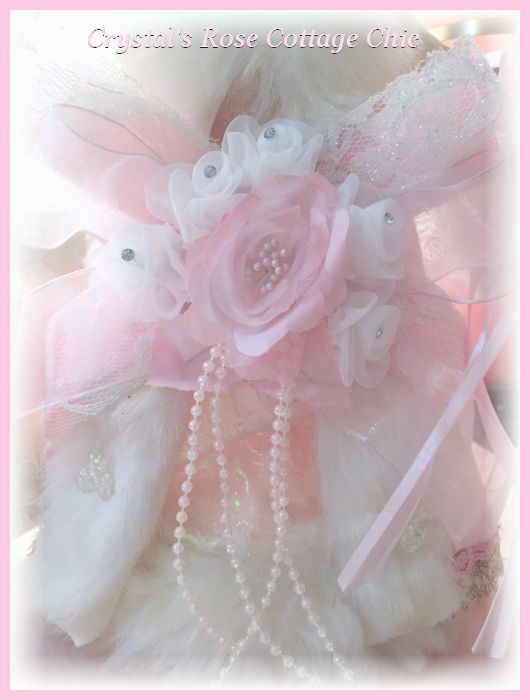 Use to top your Christmas tree in Shabby delight or add to your rose cottage Christmas vignette! Merry Pink Christmas!